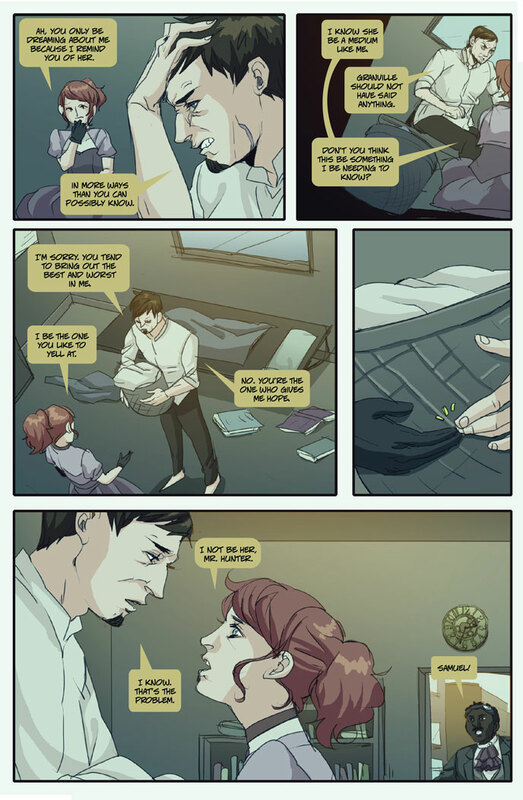 Samuel must deal with emotions he hasn’t felt in a long time in this new page of Boston Metaphysical Society. Off to Alternative Press Expo this weekend in San Francisco! Please stop by Table 620 and say “Hi” if you’re there. If you’re a fan of indie comics (and you must be if you’re reading this), it’s the place to find old favorites and new indie creators without being overwhelmed by Marvel and DC. Also, please check out my spotlight of local Los Angeles creator Jesse Toves on my Facebook Page. He’s done animation work on Defiance and many other awesome science fiction and fantasy TV shows.